Full name is Jorge Carlos Soler (Castillo)…resides in Pembroke Pines, Fla. with his wife, Leydis Sennano and son, Jorley...Played for Cuba in several international tournaments, including the 16-under COPABE Pan American Championships in 2008, and the World Junior Championships in Thunder Bay, Ontario, Canada, in 2010…during World Junior Championships, hit .304 with a .522 slugging percentage, helping Cuba to the bronze medal...Participated in the Cubs Rookie Development program in 2014. Matched a career high with 18 doubles, despite playing in just 61 games due to a fractured left toe…placed on the 10-day DL on June 17, and did not appear with Kansas City the rest of the season...Started the season 0-for-11 before going 3-for-4 on April 8 at Cleveland, which snapped an 0-for-33 skid in the Majors that dated back to July 2, 2017...Hit .365/.460/.600 (42-for-115) with 17 extra-base hits (5 HR) and 17 RBI over his next 31 games from April 8-May 12, a stretch in which his batting average tied Mike Trout and Odubel Herrera for best in the Majors, and his hits were one behind Francisco Lindor and Nick Markakis for the Majors lead...Had a career-high-tying 10-game hit streak from April 26-May 4, in which he hit .385/.478/.744 (15-for-39) with eight extra-base hits and 10 RBI...Had a career-high 19-game on-base streak from April 13-May 4, in which he hit .353/.470/.647 (24-for-68) with 12 extra-base hits and 11 RBI...Had a two-run HR and a single in the Royals' 10-run first inning on May 8 at Baltimore, joining Jon Jay and Mike Moustakas with two hits in that inning...Hit the go-ahead, three-run HR in the 13th inning of a 7-6 win in Boston on May 1…it was the latest go-ahead HR by a Royal since Kendry Morales' walk-off HR on May 15, 2016 vs. Atlanta (also 13th inning)...Matched a career high with four hits on May 30 vs. Minnesota (also: April 20, 2015 with the Cubs)... Hit .315/.415/.648 (17-for-54) with 10 extra-base hits (4 HR) vs. left-handed pitchers...Hit .329/.440/.573 (27-for-82) with 12 extra-base hits and 13 RBI in 23 games vs. AL Central teams... Played in two rehab games with Omaha (AAA) on Aug. 27-28, but suffered a setback and was recalled from rehab on Sept. 13, ending his season. Split the season between Kansas City and Omaha (AAA), playing in 35 games with the Royals and 74 with the Storm Chasers…opened the year on the 10-day disabled list (strained left oblique) and didn't make his KC debut until May 6…optioned twice, before being recalled for the remainder of the season on Sept. 5 ... Batted .144 (14-for-97) at the Major League level with five doubles, two homers and six RBI ... Both of his Major League home runs came at Kauffman Stadium - a solo shot on May 14 off Baltimore's Richard Bleier and a two-run homer off Minnesota's Buddy Boshers on July 1 ... Went hitless in his final 23 at-bats in the big leagues…his last hit was a fifth-inning double on July 2 vs. Minnesota ... Tied for 11th in the Pacific Coast League with 24 home runs…his total led all Royals' minor league players, one ahead of teammate Frank Schwindel (23)…recorded five multi-homer games, after collecting just one in his first five minor league seasons ... Hit .324/.453/.667 (36-for-111) with 11 homers and 31 RBI in his first 31 games with Omaha…however, he batted .228/.342/.494 (37-for-162) with 13 homers and 28 RBI in his final 43 minor league contests ... Had a career day on June 11 vs. New Orleans, connecting for a two-run shot in the ninth to tie the game and a walk-off grand slam in the 10th…his six RBI in the contest were a minor league career high. Spent a majority of the year in the Major Leagues, appearing in 86 games with the Cubs…missed nearly two months of action, being placed on the disabled list on June 7 (strained left hamstring)...Batted .238 (54-for-227) with 12 homers and 31 RBI… that included batting .277 (39-for-141) with 10 homers and 25 RBI over his last 53 contests...Scored a run in a career-high six-straight contests, April 10-16, going 6-for-15 (.400) with a pair of homers during that stretch...After being activated from the 15-day D.L. (Aug. 5), hit a three-run homer in his first at-bat that night at Oakland...Reached base in a career-high 11-straight games, June 2-Aug. 12, batting .438 (14-for-32) with a pair of walks...Hit a game-tying solo homer in the ninth inning on Aug. 29 vs. Pittsburgh in a game the Cubs won, 8-7, in 13 innings…it marked his first career game-tying or go-ahead home run in the ninth inning or later...Batted .316 (12-for-38) with a .409 on-base percentage when leading off an inning. 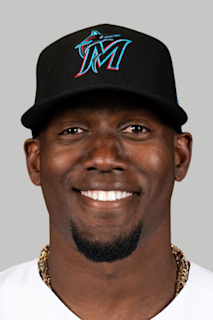 In his first full season in the majors, Jorge Soler batted .262 (96-for-366) with 18 doubles, 10 homers, 47 RBI and 39 runs scored in 101 games ... missed nearly two months due to two stints on the disabled list with a left ankle sprain and a left oblique strain. Batted .268 (78-for-291) with eight homers against righties and .240 (18-for-75) with two homers against left-handed pitchers. Among N.L. rookies, ranked ninth in walks with 32 and tied for fifth in outfield assists with four. Reached base safely in his first nine career post-season plate appearances, the first player in major league history to accomplish that feat. The previous Cubs overall post-season record was held by Hack Wilson, who reached safely in seven-straight plate appearances in the 1929 World Series. Hit two home runs, April 13 vs. the Reds, including a game-tying two-run shot in the eighth inning with an 0-2 count ... set career-highs with four RBI and three runs scored. Marked his second career multi-homer effort, and came in his 30th career contest ... joined Mandy Brooks in 1925 as the only two Cubs since at least 1914 to record two multi-homer efforts in their first 30 career games. Enjoyed an eight-game hitting streak, April 13-21, in which he batted .378 (14-for-37) with three doubles, two homers, seven RBI and a 1.047 OPS. Recorded a career-high four hits, April 20 in Pittsburgh, going 4-for-5 with a double and two runs. His first-inning double, April 27 vs. Pittsburgh, snapped an 0-for-15 drought ... finished the game 2-for-4 with a double and a run. Batted .288 (30-for-104) in May after hitting just .247 (20-for-81) in the opening month. Drew a career-high four walks, May 15 vs. the Pirates. Delivered a game-tying two-run double with two outs in the eighth inning, May 23 in Arizona ... Cubs went on to win, 9-6. Landed on the 15-day disabled list, June 3, with a left ankle sprain suffered June 1 at Miami ... activated off the D.L., July 5. Recorded a career-high 10-game hitting streak, July 31-August 11, in which he batted .382 (13-for-34) with one double and eight RBI ... had four multi-RBI games. Placed on the 15-day disabled list for a second time, August 24, with a left oblique strain ... activated off the D.L., September 17. Played in four postseason games with Single-A Myrtle Beach as part of a rehab stint, scoring two runs and helping the Pelicans win the Carolina League title. Hit his first career pinch-hit homer, September 21 vs. Milwaukee, a three-run shot in the seventh inning off Cesar Jimenez ... was also his first home run off a left-handed pitcher. Homered three times in a four-game span, September 19-23, including homers in back-to-back games for the first time in his career. Batted .321 (17-for-53) with 22 RBI with runners in scoring position from July 12 through the end of the season. Jorge made his major league debut, August 27, and went on to bat .292 (26-for-89) with eight doubles, one triple, five homers and 20 RBI in 24 games for the Cubs ... combined to hit .340 (68-for-200) with 23 doubles, two triples, 15 homers and 57 RBI in 62 games across three minor league levels to begin the campaign...Recorded a .903 OPS with Chicago thanks in part to 14 extra-base hits and six walks...Started all 24 of his games in right field...Committed two errors and recorded two outfield assists...Hit safely in 19 of 24 major league games...Recalled from Triple-A Iowa, August 27, and made his major league debut that night in Cincinnati...Belted a home run in his first career at-bat, a solo shot off Mat Latos, and finished the game 2-for-4 with a run, the homer and two RBI...Became the first Cub to homer in his first career at-bat since Starlin Castro did so, May 7, 2010 in Cincinnati...Recorded his first multi-homer effort, August 29 in St. Louis, in just his third career game...Joined teammate Javier Baez as the only Cubs to hit three home runs in their first three career games...Is just the third player since 1900 to record at least one extra-base hit in each of his first five career games, joining St. Louis' Enos Slaughter in 1938 and Boston's Will Middlebrooks in 2012...Became just the second Cub in franchise history to have 11 or more RBI in his first eight career games, joining Mandy Brooks, who had 14 RBI in his first eight games from May 30-June 8, 1925 (thanks to STATS Inc.)...Additionally, became the first player to amass at least one RBI and/or one extra-base hit in each of his first eight career games since the Philadelphia Athletics' Buddy Blair did so in 1942...Stole his first career base in the season finale, September 28 in Milwaukee...Was on Tennessee's disabled list, April 4-May 7, with a left hamstring strain ... was back on the shelf, May 20-July 6, with right hamstring strain...Hit .415 (27-for-65) with nine doubles, one triple, six home runs, 22 RBI and a 1.356 OPS in 22 games for Double-A Tennessee before he was promoted to Iowa, July 22...Named the Cubs Minor League Player of the Month for July, hitting .406 (26-for-64) with a .500 on-base percentage, an .891 slugging percentage and a 1.391 OPS in 24 games between Tennessee and Iowa...Batted .282 (31-for-110) with 20 extra-base hits (11 doubles, one triple and eight homers) and 29 RBI in 32 games with Iowa from July 24-August 25. Jorge batted .281 (59-for-210) with 38 runs scored, 13 doubles, one triple, eight home runs and 35 RBI in 55 games for Single-A Daytona before a strained left calf landed him on the disabled list from June 17 through the end of the season.... Named a mid-season Florida State League All-Star and the league's Player of the Week for the period ending, May 12 ... in four games during the span, he was 7-for-15 (.467) with three doubles, a triple, two home runs and four RBI... Recorded a .970 fielding percentage (3 E/99 TC) in 55 games in right field ... had two outfield assists... Hit .377 (20-for-53) with a 1.112 OPS against left-handed pitching... Began the season with a 10-game hitting streak, April 4-21, hitting .378 (14-for-37) with three doubles, two homers, six RBI and seven walks... After batting .273 (18-for-66) in April, hit .304 (31-for-102) in May... Played for the Mesa Solar Sox in the Arizona Fall League, hitting .271 (23-for-85) with six doubles, one home run and 14 RBI in 20 games. Jorge batted .299 (40-for-134) with seven doubles, five home runs and 25 RBI in 34 games between Rookie-League Mesa and Single-A Peoria in his first professional season. ...Saw action in 14 games with Rookie-League Mesa to begin his professional campaign, batting .241 (13-for-54) with two doubles, two home runs, 14 runs scored, 10 RBI and eight stolen bases....Promoted to Single-A Peoria, August 10, and went on to hit .338 (27-for-80) with five doubles, three homers, 14 runs scored, 15 RBI and four stolen bases in 20 games....Hit safely in 15 of 20 contests with the Chiefs, including eight multi-hit affairs....Hit at a .417 clip (10-for-24) with three walks, three doubles, a homer and 13 RBI with runners in scoring position with Peoria ... batted .500 (5-for-10) with nine RBI with RISP and two outs....Blasted a grand slam in his second game with the Chiefs, August 11 at Beloit....Collected a season-high four hits, August 18 at Wisconsin, going 4-for-5 with a double, a homer, two runs scored, two RBI and a stolen base in the Chiefs 9-2 victory. ...Tallied a .455 batting average (5-for-11) in three September contests to close out the season. November 2, 2018 Kansas City Royals activated RF Jorge Soler from the 60-day injured list. August 27, 2018 Kansas City Royals sent RF Jorge Soler on a rehab assignment to Omaha Storm Chasers. August 12, 2018 Kansas City Royals transferred RF Jorge Soler from the 10-day disabled list to the 60-day disabled list. Left toe fracture. June 17, 2018 Kansas City Royals placed RF Jorge Soler on the 10-day disabled list retroactive to June 16, 2018. Left toe fracture. September 5, 2017 Kansas City Royals recalled RF Jorge Soler from Omaha Storm Chasers. September 2, 2017 Omaha Storm Chasers activated RF Jorge Soler from the temporarily inactive list. August 30, 2017 Omaha Storm Chasers placed RF Jorge Soler on the temporarily inactive list. July 17, 2017 Kansas City Royals optioned RF Jorge Soler to Omaha Storm Chasers. June 28, 2017 Kansas City Royals recalled Jorge Soler from Omaha Storm Chasers. June 3, 2017 Kansas City Royals optioned LF Jorge Soler to Omaha Storm Chasers. May 6, 2017 Jorge Soler roster status changed by Kansas City Royals. April 21, 2017 Kansas City Royals sent OF Jorge Soler on a rehab assignment to Omaha Storm Chasers. April 2, 2017 Kansas City Royals placed LF Jorge Soler on the 10-day disabled list retroactive to March 30, 2017. Strained left oblique. August 5, 2016 Chicago Cubs activated LF Jorge Soler from the 15-day disabled list. July 22, 2016 Iowa Cubs sent LF Jorge Soler on a rehab assignment to Tennessee Smokies. July 20, 2016 Chicago Cubs sent LF Jorge Soler on a rehab assignment to Iowa Cubs. June 7, 2016 Chicago Cubs placed LF Jorge Soler on the 15-day disabled list. Left hamstring strain. September 17, 2015 Chicago Cubs activated LF Jorge Soler from the 15-day disabled list. September 11, 2015 Chicago Cubs sent RF Jorge Soler on a rehab assignment to Myrtle Beach Pelicans. July 5, 2015 Chicago Cubs activated RF Jorge Soler from the 15-day disabled list. June 29, 2015 Chicago Cubs sent RF Jorge Soler on a rehab assignment to Iowa Cubs. August 27, 2014 Chicago Cubs recalled RF Jorge Soler from Iowa Cubs. July 23, 2014 RF Jorge Soler assigned to Iowa Cubs from Tennessee Smokies. July 6, 2014 Tennessee Smokies activated RF Jorge Soler from the 7-day disabled list. June 21, 2014 Tennessee Smokies sent RF Jorge Soler on a rehab assignment to AZL Cubs. May 7, 2014 Tennessee Smokies activated RF Jorge Soler from the 7-day disabled list. April 4, 2014 Tennessee Smokies placed RF Jorge Soler on the 7-day disabled list. March 12, 2014 Chicago Cubs optioned RF Jorge Soler to Tennessee Smokies. September 30, 2013 Chicago Cubs recalled Jorge Soler from Daytona Cubs. September 11, 2013 Jorge Soler roster status changed by Daytona Cubs. June 18, 2013 Daytona Cubs placed RF Jorge Soler on the 7-day disabled list. April 16, 2013 Daytona Cubs activated RF Jorge Soler. April 11, 2013 RF Jorge Soler roster status changed by Daytona Cubs. March 15, 2013 Chicago Cubs optioned RF Jorge Soler to Daytona Cubs. October 4, 2012 Chicago Cubs recalled Jorge Soler from Kane County Cougars. August 9, 2012 RF Jorge Soler assigned to Peoria Chiefs from AZL Cubs. July 19, 2012 Jorge Soler assigned to AZL Cubs. June 30, 2012 Chicago Cubs signed free agent RF Jorge Soler.